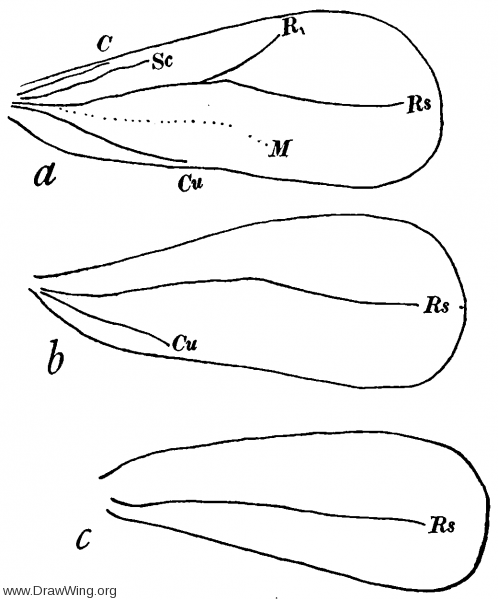 Wings of Aleurodes; a - fore wing just after emergence, b - fore wing, c - hind wing. From Comstock (fig. 296) .